In continuation of his consultation with aviation stakeholders, the newly-appointed Managing Director/CEO of the Nigerian Aviation Handling Company Plc, Mr. Idris Yakubu, recently visited key aviation regulators and stakeholders. Yakubu visited the Nigerian Civil Aviation Authority (NCAA), the Federal Airports Authority of Nigeria (FAAN), and the Nigeria Customs Service (NCS) airport command where he pledged to work with these agencies to grow the Nigerian aviation industry. A statement by the spokesman of NAHCO, Mr. Tayo Ajakaye said the Director – General of NCCA, Captain Muhtar Usman who received Yakubu in his office expressed delight on the visit of the NAHCO boss and expressed satisfaction with the way NAHCO had been conducting businesses around the airports in line with stipulated regulations and hoped that other operators would conduct their businesses in like manner. The statement also said Yakubu’s first visit to the headquarters of FAAN since assuming the mantle of leadership at NAHCO, was quite encouraging. The DG was received by FAAN’s Director of Commercial and Business Development, Mr. Abdulkadir Rafindadi, and the Director of Finance and Accounts (DFA), Mrs. Nike Aboderin. “Yakubu pledged to sustain and improve on the cordial relationship existing between FAAN and NAHCO adding that NAHCO was a part of FAAN before its excision and eventual privatisation” the statement said. Yakubu stated that he was positive that the present cordial relationship that exists between the two organisations would be further deepened in a way that value would be added to the two major aviation industry players. 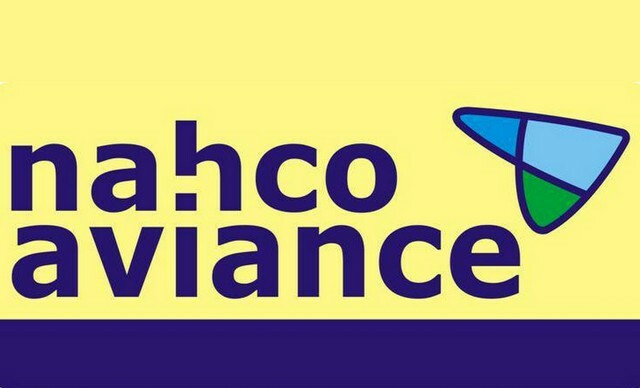 “The representative of the Managing Director, Rafindadi, said NAHCO remains one of the best partners of FAAN and urged NAHCO to continue to maintain its high level of service delivery.”the statement, said. During his visit to the Customs Area Comptroller, Murtala Muhammadu International Airport (MM1)Command, Mr. Emmanuel Edede, the NAHCO boss said it was important for him to come and visit Customs, an important stakeholder at the airport. He promised that NAHCO will continue to follow laid -down rules and regulations in the conduct of its business and will assist the Customs Service in its efforts to help grow revenue for the Federal Government. The CAC on his part said his organization had always had a good working relationship with NAHCO over the years. He pointed out that the NCS does not encourage indiscipline, and that the service would try as much as possible to expose the bad eggs while ensuring a level playing field for all operators in the sector.